Gourmet schmears smothered on top of delicious, original-recipe waffles like lemon yogurt, mashed potato and even rye – what could be better right? I was lucky enough to be approached by Mom’s owner Karin Allen to help her brand the identity behind her newest adventure. Together we narrowed down the final logo to a simple, easy to replicate mark that uses a partially bitten-into waffle for the ‘O’ and fork & knife shapes filling in the negative spacing on the M’s. 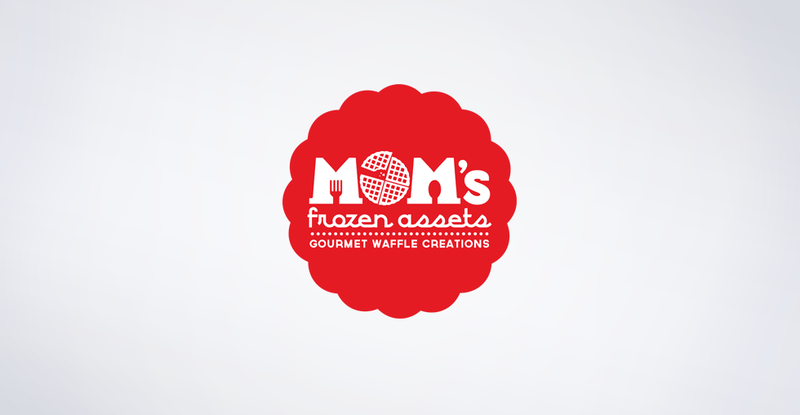 If you’re lucky enough to live in Grand Junction, I highly suggest visiting her booth at the Farmers’ Market this year to try her tasty waffle creations for yourself!